Steel City SQL Server Users Group is the Birmingham, AL chapter for the Professional Association for SQL Server or PASS. PASS is the world's largest, user-run community dedicated to Microsoft SQL Server technologies including Database Administration, Database Development and Business Intelligence. Steel City SQL is promoting the goals of PASS locally in Birmingham through the monthly meetings by giving attendees the opportunity to connect with other SQL Server users, learn from a presentation on a relevant SQL Server or Business Intelligence topic and share by giving attendees the opportunity to present to group or simply share solutions to problems that they have seen that other users might be challenging other attendees. 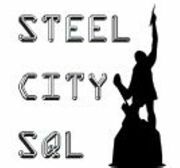 Steel City SQL meets monthly on the third Tuesday of the month on the Third Floor of Thomas Russell Hall on the campus of Samford University starting at 6PM. Each meeting starts with a 30 minute networking session followed by a technical presentation at 6:30PM which generally last for an hour. There are no membership fees or dues to belong to the group and there is no cost other than your time to attend a monthly meeting. All that we ask is that you let us know that you plan to attend so that we can plan accordingly for food and beverages.